Brazos Lofts in Austin Texas greets passersby with a taste full of ingenuity and authenticity during the day. At night, it brings back to life the first quarter of the 1900s with its stained yellow lighting effect offering a sensational feeling of awe. No wonder it is the rarest among Downtown Austin Lofts to be offered in the market. 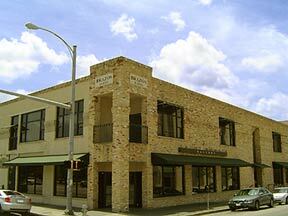 Constructed in the 1930s, Brazos Lofts for sale in Austin has been converted to stunning lofts in 1999. The low-rise bricked wall building has three floors that houses 39 well-furnished units. Brazos Loft prices range from $250,000 to $700,000. One- and two-bedroom units are available with sizes ranging from 1,113 to 1,476 square feet. Elegant in-room amenities include dramatic stained concrete floors, exposed wood beamed ceilings of up to 22 feet, exposed piping, walls of windows, granite counter-tops, top notch stainless appliances, and lovely travertine finished bathrooms. Residents also enjoy a well-equipped fitness center, privately assigned storage lockers and double vanity. For security, Brazos Lofts has smoke detector, track lighting and secured parking garage. Addressed at 411 Brazos St., Brazos Lofts in Austin Texas offers an extremely convenient location of a block away from the Central Business District and the Congress Avenue, a few steps from the 6th St., the Four Seasons, the State Theater, and the much-loved Driskill Hotel. Shop ‘til you drop at the nearby Warehouse District on 4th St. and Retail District at 2nd Street; or play the whole day at the Town Lake Hike-and-Bike Trail. Earning a distinction as the only loft-warehouse in the face of Downtown Austin with a stylish architecture that resembles the typical New York style Loft, Brazos Lofts for sale in Austin is your ultimate guide down memory lane. A perfect fit for artists, explorers and anyone interested to live in the center of it all.